Whenever a court case is wrapped up, the judge will either find the accused guilty or innocent. In the latter, one is able to go free. However, the former presents a variety of options. Some crimes do not amount to jail time. They could either attract a fine or certain hours of community service. In the case of drug or substance abuse and anger-related crimes or incidents, the court could prescribe rehabilitation or anger management sessions. This, however, is not always the case. Crimes such as robbery with violence and murder, among others, attract jail time. This type of jail time varies. It depends on whether a judge grants you bail or not. Once you are arrested, you have to be held in custody. Once your court date is set, more commonly at a later time, you can either spend that time in jail or out in the free world as you go about your normal duties. 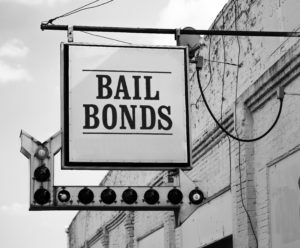 For more severe crimes, bail may not be granted. However, if it is, you are required to show up for your court dates. If you do not, you are arrested, kept in jail plus you forfeit the amount you paid for the bail bond. The court determines the jail time you get once you are sentenced. This is not haphazardly done. Instead, it follows guidelines that are set by the law. In a number of cases, the law stipulates the minimum mandatory sentence when it comes to jail time. If you are found guilty of such an offence, then your sentence would be upwards of the set duration and not any less. It is important to familiarize yourself with the prescribed jail term punishments for whichever crime you, your friend or family member is accused of. This will help you stay informed on whether or not the punishment is fair after the sentence is administered. If the sentence is too harsh, then you can consider appealing the decision. All these inform the judge’s decision. These determinants can fall into one of two categories: a mitigating or an aggravating condition. Any determinant that falls in the former will play a role in reducing the number of years one is sentenced to jail. The determinants that fall in the latter, however, ensure that the accused gets more years in jail.